Tuesday, July 7, 1914: Nothing doing. 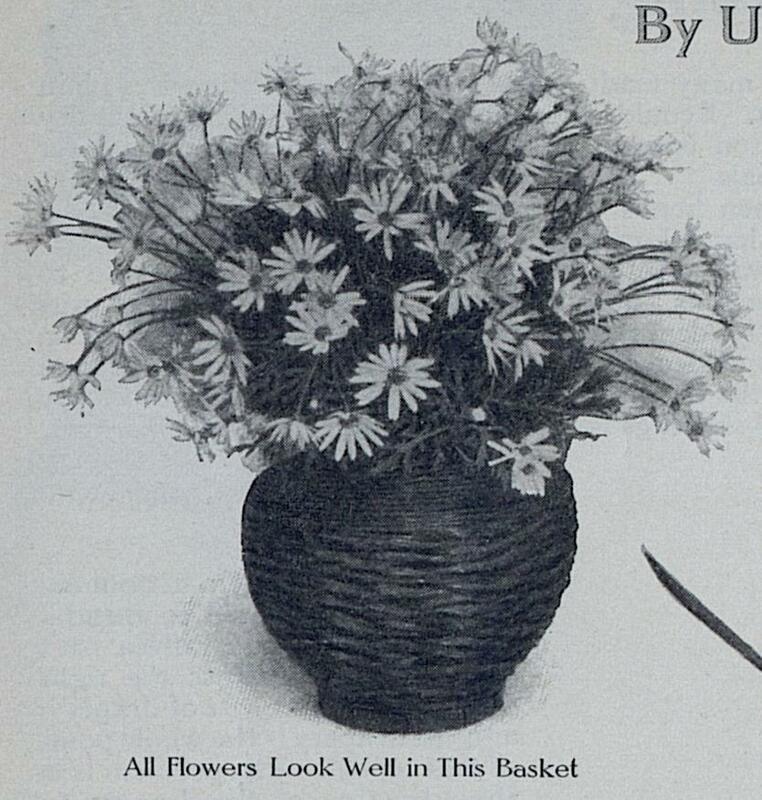 Since Grandma didn’t have much to say a hundred years ago today, I’m going to share some pictures of floral arrangements in baskets. If one can afford to have only a few receptacles for flowers, then baskets would well be chosen. Nowadays the shops show inexpensive shapes to meet every requirement, and the clever woman will not find them difficult to make. Posted on July 7, 2014 July 6, 2014 by SherylPosted in OtherTagged family history, genealogy. Previous Previous post: A Hundred Years Ago Chicago Schools Had a Female Superintendent! I like how they tell you exactly what to use as I don’t have a flair for such things or decorating in general for that matter! I am curious about these days that your grandma writes “Nothing doing”. Is the diary preprinted with dates and she is filling in a page that is already there or is she diligent about recording each day and writes the date on a blank page and writes the nothingness with the date? Her diary consisted of several bound lined notebooks like the ones schoolchildren used to use. She wrote the date in each day–followed by the entry. Actually, this “nothing doing” entry encompassed several days. Grandma wrote one entry for July 6-9. I’m never quite sure how to handle multiple day entries when I post them–and have not handled them consistently in this blog. Sometimes, I just repeat the entry for each day–like I’m doing here; other times, I’ll list the multiple days for each post during the time period. I’m not really sure which way works best–neither seems perfect. It is interesting that she has nothing to say but doesn’t just skip listing the dates. That is dedication to her diary. I agree! I also really like them. It’s interesting to think that Grandma thought of her days as routine and nothing going on. Bless her soul, she could have never guessed how interested her words are a hundred years later. How any word from her makes us hunger for more. I’m thankful she kept her diary. It’s a wonderful legacy she left. When a girl, aged 10/12 we were taught basket weaving in art classes, my baskets were generally better formed than my clay sculpture and papier-mâché. The problem nowadays is getting the materials. Don’t think ‘cleverness’ is the right way to think about basket weaving .. patience is essential especially to learning any craft. I agree that patience is key to successful basket weaving. I have a vague memory of making soaking reeds and weaving a basket when I was a child. I think that it ended up being lop-sided. Grandma’s diary makes me realize that even on days in my own life when I think that nothing happened, there really are many interesting things occurring. I just need to take the time to notice the little things. 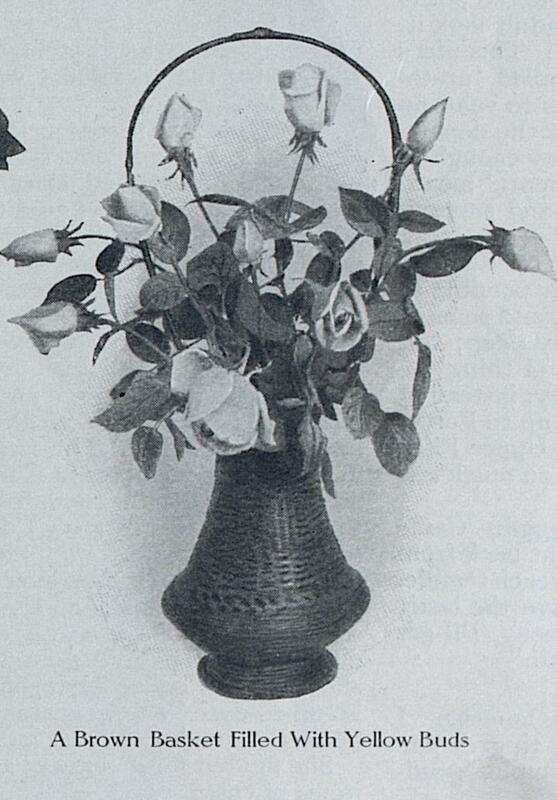 The main thing that I usually think about when selecting a vase for cut flowers is, “Which vase is the right size?”. Maybe I should think about it more from a design perspective. I do love flower arranging. It’s one of those activities where you can let your mind wander and your are in total peace. Interesting to see how things were done in the “old days,” and I’ll bet the feelings were the same. 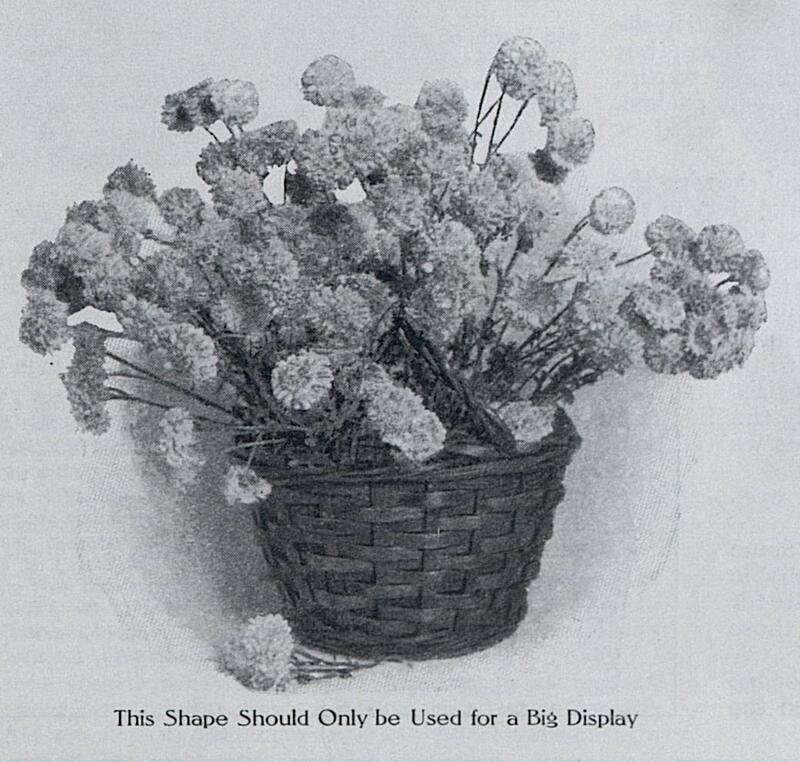 I can remember my mother bringing in baskets of cut flowers when she wanted to make a floral arrangement for a special occasion. I now have some of her vases–and enjoy using them for cut flowers. 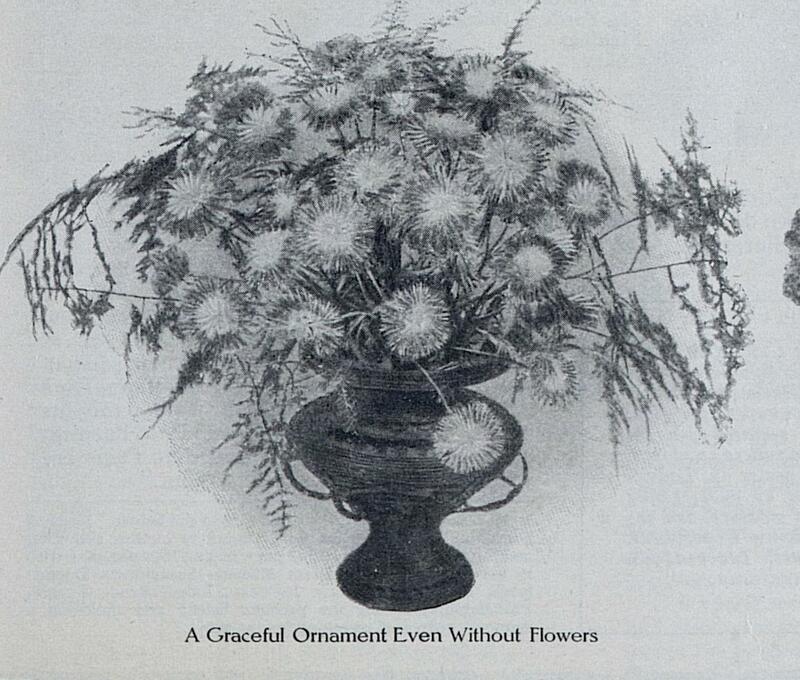 The simplicity of these arrangements is so different from ours today – and I guess there weren’t flowers being shipped from afar so you went with whatever was around. I picture people back then just going out into their gardens and cutting whatever flowers happened to be blooming. I love floral arrangements. They are fun to make though I haven’t done one in years! This summer I’ve been trying to keep a fresh flower in a bud vase on my kitchen counter. I have fun selecting a new flower every couple of days, and it makes my kitchen look so much brighter. 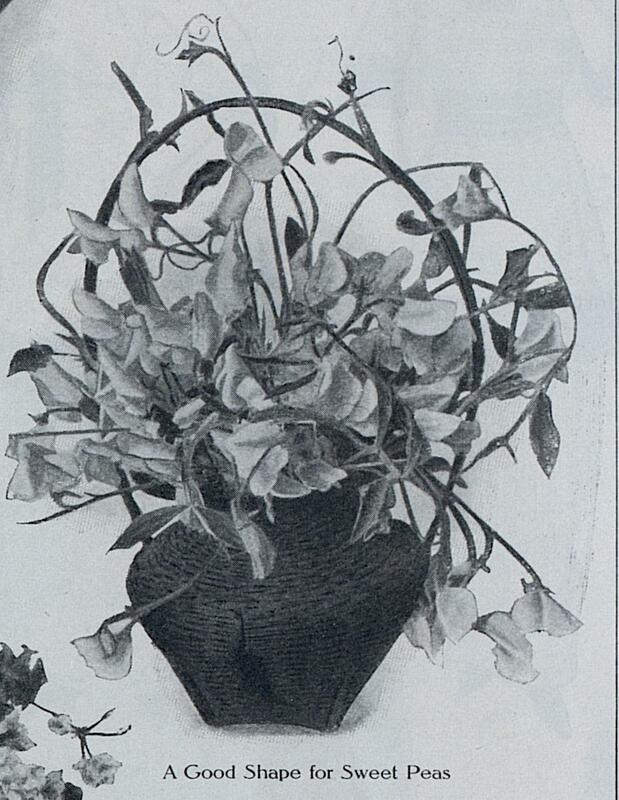 These pictures make me think that some week-end, I should be more ambitious and create a larger floral arrangement. You should create a larger floral arrangement. And post the picture. So would I. . . they are lovely baskets. It is an enchanting description. Welcome back! I’ve missed your thoughtful comments. As an overly matured male, I would rather see suggestions for stacking firewood. I appreciate your sense of humor–but seriously, I appreciate your feedback. I try to balance different types of topics (farming, fashion, cooking, etc.) on days when the diary doesn’t give me much direction–but it’s good to know the types of things that readers would be interested in reading about. I think that I once saw some firewood stacking word problems in a hundred-year-old math book. If I get a chance, I’ll have to look for them sometime. Thanks for your note of appreciation but, seriously, don’t change your content because of one old codger. It seems to me that your blog is designed for female interests and they may not appreciate a lot of deviation. More people that comment are female than male–but there definitely are a number of males that read the blog every day. Over time I try to have topics that would be of interest to a wide range of people–and often (though not today) the diary leads me in one direction or the other. I especially love the second basket. Sad most things are plastic these days. I can’t decide which is my favorite shape. I like them all. Somehow plastic doesn’t have the same lovely ambiance that these basket have.